Before a single dose of medication can be administered to a student in a JCPS school or on a field trip, appropriate authorization must be on file. Authorization forms are valid only for the current school year. Any time a change occurs for the medication (a change in dosage or a change in the time the medication should be taken, for example), a new form must be submitted. 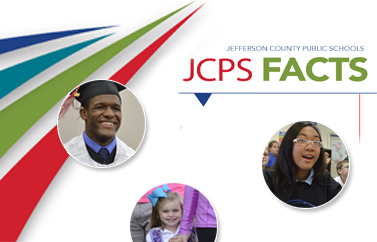 JCPS cannot accept written or verbal requests from parents for medication administration or for any changes related to medication. The time the medication is to be administered must be specified for all daily medications. Authorization forms must be signed by the parent/guardian, and the Authorization to Give Over-the-Counter Medications Form must also be signed by a health-care provider. All medications should be kept under double lock and key at the school, except for emergency medications. All medications should be brought to school by the parent in the original, labeled container. Once medications arrive at the school, they need to be counted by two Health Services trained staff and documented on the Medication Administration Record (MAR). All medications must be documented at the time of administering the medication to the student. Primary Care Provider (PCP) Authorization Forms are required for each student with a known health condition. The form must be updated every school year and signed by both the parent/guardian and the health-care provider to be valid. Forms are kept at students’ schools and provide individual emergency plans. Each form submitted to a school also must be faxed to Health Services at (502) 485-3670. Questions? Call (502) 485-3387. District staff members may not provide health services for a student without the proper form on file for the current school year. Any health service provided for a student must be documented. Use the Health Services Log. If a student requires medication during a field trip, school staff members must complete the Health Services Medication Administration Training for Unlicensed School Personnel. If any medications—including EpiPens, inhalers, Diastat, or Glucagon—are taken during a field trip, a trained staff member must accompany the student. It is the school’s responsibility to provide this staff member. Health Services training is valid only for the current school year. Check pdCentral for a list of training dates. If the field trip is out of county/state or is overnight, contact Health Services and fax the field trip approval form to (502) 485-3670 at least 2 weeks (14 days) before the field trip. For more information on diabetes, visit the Juvenile Diabetes Research Foundation (JDRF) website.